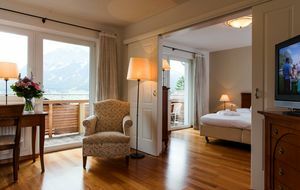 20 elegant suites and three double rooms with warm cherrywood flooring and impeccable, 4-star comfort, some of which enjoy wide panoramic views... You have all this to look forward to on your unforgettable holiday in Lermoos, in Tyrol’s Zugspitz Arena region. 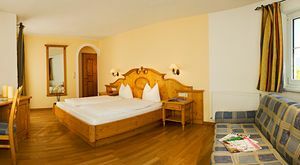 There is also a wide range of all-inclusive services for the whole family, the Alpine Panorama Spa, a sun terrace, excellent wholesome cuisine, the Happy Club and lots more! 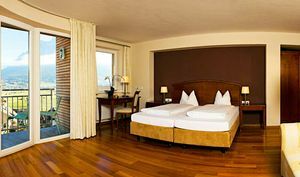 Double rooms: 24 m² of cosy living in a warm atmosphere with balcony and magnificent view of the whole valley. For 2 adults and 1 child (maximum) up to 5 years. 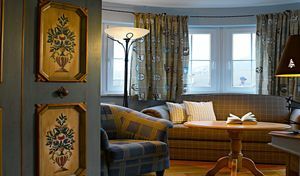 Junior suites: Either in a palatial or Tyrolean country styl. 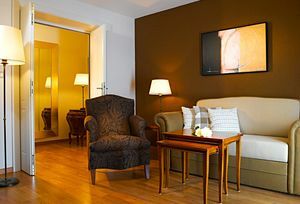 The Junior suites offer perfect living comfort. For up to 2 adults.bis zu 2 Erwachsenen und 3 Kindern. 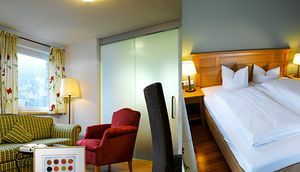 Elegant, luxurious & with panorama views - the Bellevue Suites offer first-class living comfort! Are you looking for a package for your holiday? Then browse through our last minute offers and holiday packages. We are certain you will find the right one! And we have a few goodies for you - take a look!! First-class last minute holiday: Enjoy the Alpine lifestyle at short notice! 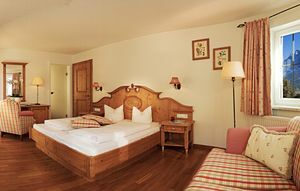 Current top offers for your family holiday in Lermoos, Tyrol. Profit from the early booker special, the extended stay discount or a pre-pay rebate. 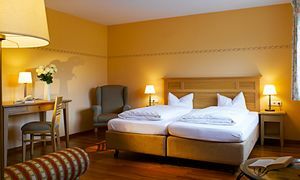 Give the gift of magical days in Tyrol with a hotel gift voucher. 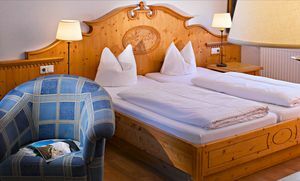 ➨Book your holiday in Lermoos now!